Update 4/7/2014: Semakan calon PLKN 2015 akan bermula pada tarikh bulan Julai 2014. Update 10/7/2011: 2012 NS name list was reportedly available since 9 July 2011. The official PLKN website is down at the moment due to heavy traffic. Try check back later. As of 8:44PM, PLKN website is up and running very slowly due to heavy traffic. While waiting for the website to load, sign up at Everyday and Groupon to buy cheap coupons! The Program Latihan Khidmat Negara (PLKN) / National Service (NS) Malaysia 2012 name list (senarai nama) will be released officially in mid of July this year. Current form five students who are born in 1994 must be very nervous while waiting for the name list to be released. How to check PLKN name list online? 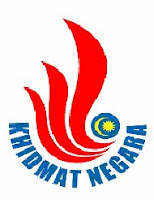 Check online for free using your IC Number at the official Khidmat Negara website. Maaf! 940823065127 tidak dipilih untuk menyertai PLKN Siri 9/2012. Fatal disease or condition – requires official confirmation by a medical officer. Contagious disease – requires official confirmation by a medical officer. Full-time member or full-time trainee of the Malaysian Armed Forces (ATM), Royal Malaysian Police (PDRM), Malaysian Fire and Rescue Department (BOMBA), Malaysian Maritime Enforcement Agency or Prisons Department of Malaysia (Jabatan Penjara Malaysia). Those who are interested to experience National Service program but are not short-listed can apply to enter the program after filling out certain forms in camps. I do have friends who volunteered to join National Service program even they were not selected in the official name list. Trainees on holiday break. Photo by Anan Amri. hi there. I may have something going on February - March 2012. Do you think I can be an exception? Maaf! tidak dipilih untuk menyertai PLKN Siri 8/2011. You can never apply for exclusion with personal reason. Exclusion is accepted only if you fall under one of the categories in the exclusion list above. You can, however, apply to postpone your national service with valid reasons such as academic. The PLKN Siri 9/2012 PLKN name list is not out yet so please do not waste your money to SMS checking if you are shortlisted. My brother was selected to join NS 3 years ago and, unlike some people who find excuses to skip this programme, my brother went for it. In the 3 months training, I can really see the distinct change in his attitude. Last time, he used to rely on my mom to get everything ready for him but since joining NS he grows and become matured. He will talk to people in a more polite manner, respect people's idea and also express his opinion more frankly. Physically, he turned fitter and stronger ( he's skinny before this ). He told us that the food provided in the camp isn't really bad as how people think, the accommodation is nice and clean. When they're sick, they could see the doctor there and were given medicine and enough rest. When it came to my turn, i was really excited. I'd decided if I weren't selected, I would apply to join it. In the mid year of my 17, I got to know that I was LUCKILY selected! I yelled and laughed out loud when I checked it out! When I was all ready ( I mean mentally ) to go, I was told that I wasn't selected to join the first batch! what a jaw-dropping news! As you know, if i were to join the second or third batch, my studies in Form 6/Pre-U would be affected! So I wrote a letter and went to the department to appeal. At there, I was arranged to meet an officer and after the meeting, i was told to go home to wait for their reply. Within one week, I received their letter, informing me that my appeal was REJECTED. It means I have to wait for the second/third batch. Well, it's not a big deal, I thought, MAYBE I could join the second batch. BUT, when the second batch name list was released, I wasn't selected, AGAIN! It means I have to join the third batch. Now, I am given JPA scholarship and have to start my A-levels next week. So, how about my NS dream? postpone? OH NO!!! mid of july meaning 15th of july or around that few days? i didnt get my a reply. You can check through the website since 9 July 2011 but the website is running very slowly (almost down) at the moment. SMS is still not available and there is no official words on when the SMS check will be available. ahhhhhhh!!!!!!!!! !i'm dying of frustration...da plkn not replying...i dun wanna get it!! da sms not working?? what is the website to sign in? I heard that the web will be providing all the info about the 2012 name list officially on 11 July 2011, and most probably, you will get your reply if you sms plkn on 11 July 2011. On my way to try it tomorrow noon. 9/2012 stand for first batch? or all candidates included in every batch? National Service started in 2004 so the batches are named according to the format series/year. 9/2012 stands for all three batches in the ninth series of National Service, not just the first batch. The 9 stands for the series and 2012 stands for the year. PLKN Siri 1/2004, PLKN Siri 2/2005, PLKN Siri 3/2006, PLKN Siri 4/2007, PLKN Siri 5/2008, PLKN Siri 6/2009, PLKN Siri 7/2010, PLKN Siri 8/2011, PLKN Siri 9/2012, PLKN Siri 10/2013, PLKN Siri 11/2014 and so on. I dont think you should display the ic number.. :) safety! I sms more than 3 hrs ago, no reply till now. So, take it easy and don't stress it out and don't waste your money. i sms to the 15888 already,but i didn't get any response wor??? how to check wheather im choosen or nt? Sms x 3 but no reply since 11/7/11 10am. Website provided were down too. Really disappointed. Malaysian National Service (NS) is a three-month program. i wanna to go, but im not selected.. so how do i sign up?? You can call the PLKN hotline 03-40274747 to check your NS status or other inquiry. i m 17 years old and i m not selected,but i wanna to go plkn 9/2012...so how to sign up,ist hard to sign up,any syarat and which batch will given to those who sign up??? omg i not selected to plkn,but i realy realy want to go....somebody pls hlp me.........how to sign up? how i to know.. about 1st batch n others...?? got how many badge for this ns? when can i know that which batch i am? I know about this - a friend of mine also tried for this one but he didn't got thru! My son got drafted in NS .He is a freshmen in college at USA. How can he be excused from joining NS.We live in US and he is a USA citizen & Malaysian citizen as well. hello, Mayasia law does not allow you to have dual citizenship. If your son choose to be US citizen (with US passport)then he is exempted from NS. i' ve been selected for the plkn program. i don't mind joining the program but i would prefer to be in 1st batch. However, they said that i' m in the 2nd or 3rd batch. So i downloaded the form for transfer. I need to fill up the form with 3 reasons for transfer and i'm having problems with that. Can anyone suggest what reasons i can put? hi,i got drafted for NS on the 9/2012 but i am not sure on how to go there and which camp am i going to.So may i know how to check which am i drafted in to?? if people that go to other country which is not in malaysia at the moment when the plkn start so do they still need to go plkn when they came back or what? i was selected in 2nd batch of plkn but i need study form 6 which start at jun..so what i do? ?postpone the plkn?? i would like to enter the camp in half duration around 1 month,after that apply to go out the kem and start to study form 6...is that works?? any procedure?? I have the same problem that most of you guys are facing. National Service is clashing with my enrolment to form 6. I'm worried that i will not be able to continue my study in form 6 after completing the 3 months of National Service. I'm selected to join the second batch which starts next month. Plus, the name list for form 6 is not announce yet. Therefore, i have no valid reason or document to postpone National Service. I hope anyone can give any suggestions or help in solving this matter. Thanks. yaya..that is what i'm worry now..cant do nothing while the form 6 list haven announce ..what camp you will enter? ?and u get yours ns letter dy?? i hope the plkn can let me out before form 6 start.. If i didnt get chosen,then i will not be chosen in the future d,rite? i have been selected for the plkn program Kumpulan 3 Siri 9/2012. But now i still study form 5 and will take SPM exam this year. DO i need to submit the postponement form? And is it must submit the postponement form by my self or my school will help us to submit? also if able to postpone can i choose which batch to in and the place as well? i prefer to in Kumpulan 1 siri 10/2013. I haven't chosen for PLKN siri 10/2013. I sent the PLKN Ahli Sukarelawan form via online but, until now I didn't get any reply. Should I send the form by post or is it too late for me to take any action right now? Im selected for the 2nd batch of PLKN 2013 which will only ends on 21th of June, but i planned to further my studies in Form 6!!! Will I only be able to join Form 6 after the ns? (which will skip most of the form 6 classes) I really wanted to join ns but I'm going form 6 and i don't want it to affect my studies! how to apply if we are not selected officially? may i know how to apply? ?